While it is adventurous and exhilarating, it can sometimes be scary for a woman to travel alone in a foreign third world country with little or no knowledge of the local language. ​This topic (solo travelling for women) is very close to my heart, as I have backpacked across India alone for the last few years. From my experience, the best tip I can give you is to trust your instinct. In different places, laws, taboos and boundaries are different. But, by being attentive to your surroundings, a perceptive eye and ear and tell you soon enough, what you should and shouldn't do in order to stay safe. A friend of mine travelling alone once came to halt at a tiny village near Udupi in Karnataka. She turned out to be the only guest at the only guesthouse in the village run by a middle aged man. The first time she spoke to him she found him "creepy", even though he never said or did anything out of turn. She was tired though, of lugging her backpack and travelling long hours, and she decided to stay. The next day when she checked out she got borderline molested by the man. 1 Go to the closest proper hotel (even if this is out of budget, you cannot put a price on your safety). 2 Find the closest police station, and let them know that you are feeling uneasy about the place you must spend the night. Ignore the smiling face of our wander bug bitten PM, Modi. 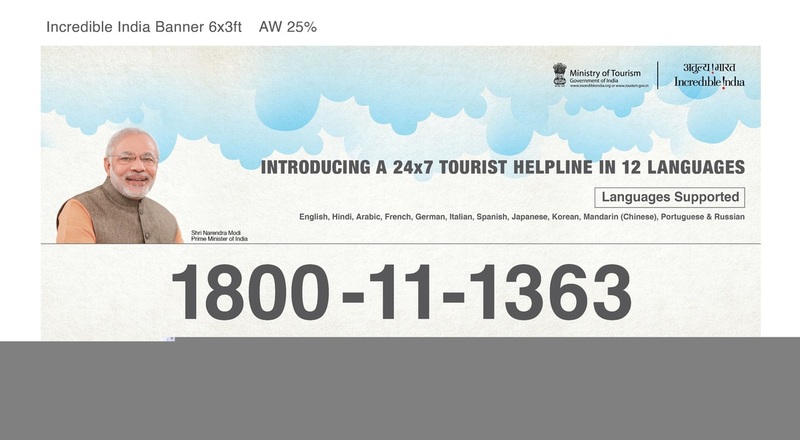 This is the 24/7 helpline number for tourists in India. To assist the callers with advice on action to be taken during times of distress while travelling in India & if need be alert the concerned authorities. For any specific questions, please don't hesitate to contact me or leave a comment on my fb page or leave a comment below. I usually reply between 24-48 hours.